[Harper’s Bazzar] the Best Selling skin care product? It is time to break the stereotype that Vitamin serum triggers skin irritation. 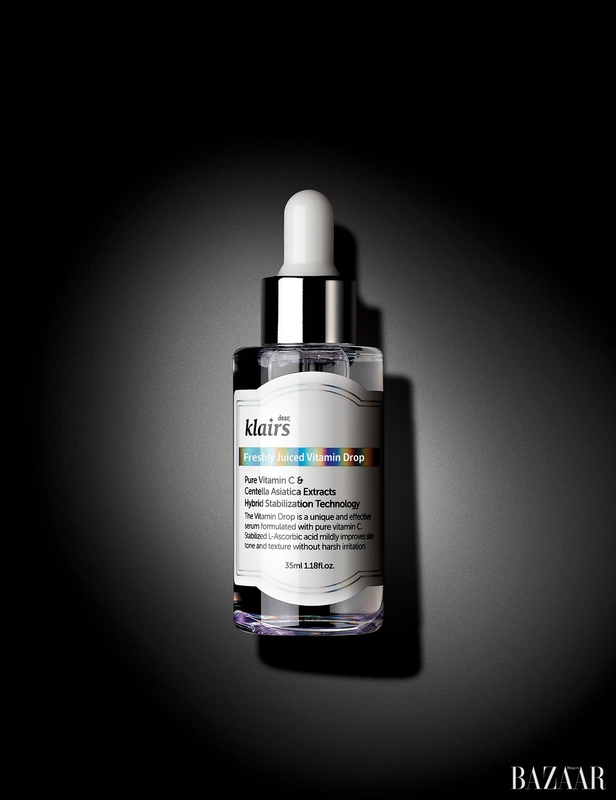 Klairs Freshly Juiced Vitamin Drop containing concentrated pure Vitamin C is praised for its powerful brightening effect and mildness that even sensitive skin can enjoy it. It gently removes dead skin cells and helps taking care of open pores, dull skin tone, and hyperpigmentation. Klairs Freshly Juiced Vitamin Drop is the best seller which has been sold over 400,000 bottles on Urban Outfitters, Amazon, iHerb and more. Klairs , a skincare brand for sensitive skin that is already loved in over 70 countries around the world When ‘Klairs’ s growing global fan base meets with ‘AP Mall’s’ high purchasing power consumers… Expect synergy effect ‘Dear, Klairs’ has entered AP Mall (www.amorepacificmall.com), the official online shopping mall of AMOREPACIFIC. This is the first case where a third-party skincare brand is distributed to the online AP mall. Klairs (klairs.com) is a skincare brand under Wishcompany (CEO Soungho Park), a company that carries many beauty brands and develops content that has already established a large fan base overseas. Since 2010, the company has been focusing on developing everyday practical products for sensitive skin. As a result, the products have been ranked in top selling positions on global e-commerce sites such as Amazon and iHerb and has also been a winner of the Glowpick Awards for three consecutive years. Rarely discontinuing products, Klairs is sold online and offline in 70 countries around the world. Not only is Klairs loved for being cruelty-free and vegan-friendly, they are also loved for taking part in social causes such as donating part of their proceeds to animal protection organizations. With Klairs’ fan base growing globally and AP Mall’s high purchasing power consumer, both Klairs and AP Mall are expected to receive positive results. To celebrate the opening of AP Mall, Klairs will hold various promotions at AP Mall until September 2nd. If you purchase more than 10,000 won worth of Klairs, you can receive 9 different samples of Klairs popular products. If you purchase the Blue Cream (Midnight Blue Calming Cream) 30ml, you will also receive the same amount of product but in sample packets as a celebratory gift. In addition, there will be a small gift of the popular ‘holy grail toner’ in a miniature size (Supple Preparation Facial Toner), a product that has exceeded cumulative sales of 600,000 bottles, to all AP Mall purchasers. For more details, visit AP Mall x Klairs event page (goo.gl/bx7U4x). Klairs brand manager, Song, shares, “We are excited to share Klairs products to new customers at AP Mall. With Klairs positive brand image and high-quality products, we look forward to providing customers with a satisfying experience.” For the official press, please visit here.